An effective integrated demand and supply planning process is only meaningful when inputs and outputs lead to improved decision-making. Our pragmatic approach focuses on demand-driven plans and supply optimization resulting in improved margins, forecast accuracy, agility, business visibility and lower inventory. 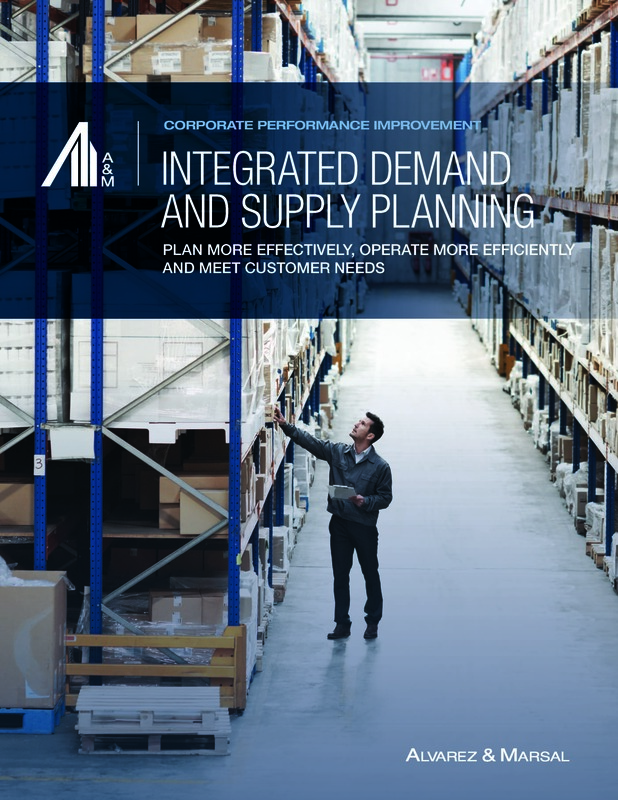 A&M brings an end-to-end supply chain perspective to help you plan more effectively, operate more efficiently and meet customer needs. Learn more about how A&M can help you plan more effectively, operate more efficiently and meet customer needs.